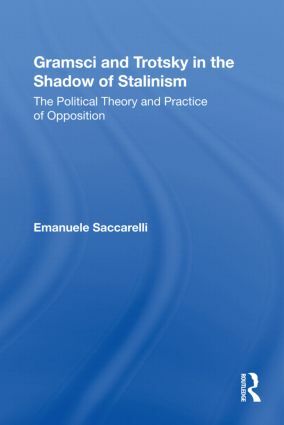 This book examines the legacy of Antonio Gramsci and Leon Trotsky in the shadow of Stalinism in order to reassess the very different and distorted academic reception of the two figures, as well as to contribute to the revitalization of Marxism for our time. While Gramsci and Trotsky lived and died in a similar fashion, as revolutionary Marxist leaders and theoreticians, their reception in academia could not be more different. Gramsci has become tremendously popular, becoming a central figure in many disciplines, while Trotsky remains largely ignored. Saccarelli argues that not only is Gramsci popular for the wrong reasons--being routinely distorted and depoliticized--even when rescued from his contemporary users, Gramsci remains inadequate. Conversely, the fact that Trotsky remains beyond the pale of "theory" is a terrible indictment of the current state of academic thinking.